I was fully calm and cool. I was damn sure that on Thursday I would get my lost copy. Sai saved my faith and patience. Finally Sai gave me this copy on Thursday. Mistakenly one student had taken away this copy in his bag. Same incident happened once again. This boy’s same copy again got lost. Parents scolded me a lot. Then Sai gave me the power to tolerate. Still I was not worried for anything. Only I knew that Sai will save me. Today I got this lost copy second time. I always try my best to do my best in my teaching life but due to some reason I am unable to complete my subject course in time. Students try to complain against me because after few days exam would start. But Sai saved me by helping me in course completion in time and save my reputation also. One thing I will say other devotees that when Sai is with us then no cause of fear or worry should be there. Sai Baba bless me and my boyfriend and always and give a place near Your feet. Your love, affection and guidance are required in every birth and please do not leave us alone who are but Your loving children. 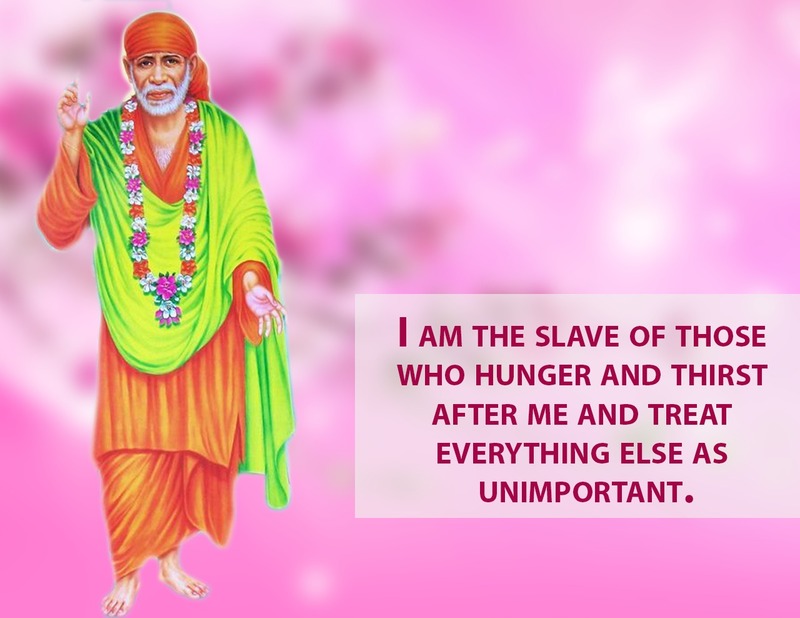 All may forsake us but not our Sai. He will never allow His true devotees also to ever come to any harm. For Sai nothing is impossible or say with Sai all thoings are possible! Love You Deva. Jai Jai Ho Sai. I would like to share my experience and miracle of udhi. Since two days i was suffering with throat infection and pain ..yesterday night i could'nt speak my throat became very painful and hard. The syrup i bought from the pharmacy didnot work as well. I prayed to baba and applied handful of Udhi on my throat and had on my tongue. On midnight. I had cough for couple of times and the entire throat got cleared and now i could speak normally. What an amazing power of Saibaba...He blessed us with Udhi to solve our problems. Thank you baba. Koti pranamams on the lotus feet of Saibaba. Always be with us and never leave us baba..we will be an orphan without you.